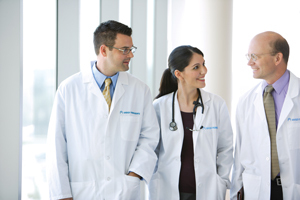 Founded in 1985, The Southeast Permanente Medical Group (TSPMG) is one of the largest multi-specialty medical groups in Georgia. More than 500 TSPMG clinicians work exclusively with the Kaiser Foundation Health Plan to provide medical care to more than 365,000 members in metropolitan Atlanta. Kaiser Permanente is Georgia’s largest not-for-profit health plan. Its mission is to provide high quality, affordable health care services to improve the health of its members and the communities it serves. Kaiser Permanente serves a 28-county service area in metro Atlanta with care focused on their total health and guided by their personal physicians, specialists, and team of heath care providers. Expert and caring medical teams are supported by industry-leading technology and tools for health promotion, disease prevention, state-of-the art delivery, and world-class chronic disease management. Nationally, Kaiser Permanente is recognized as one of America’s leading health care providers, serving more than 10 million members in eight states and the District of Columbia.